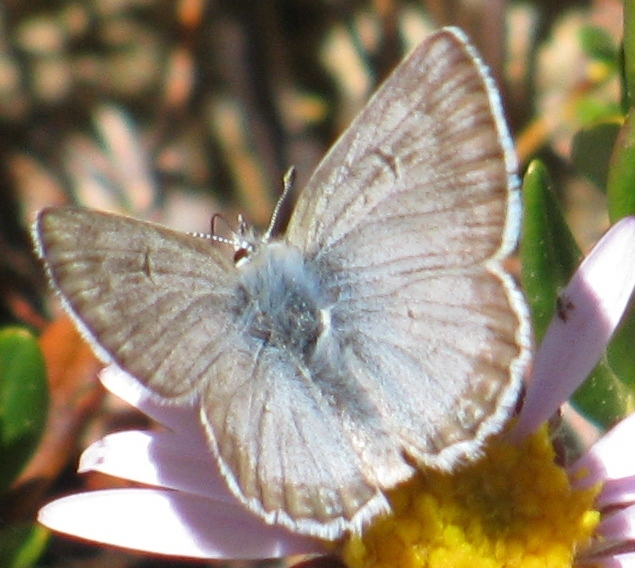 Identification: Upperside of male gray-blue, female red-brown. 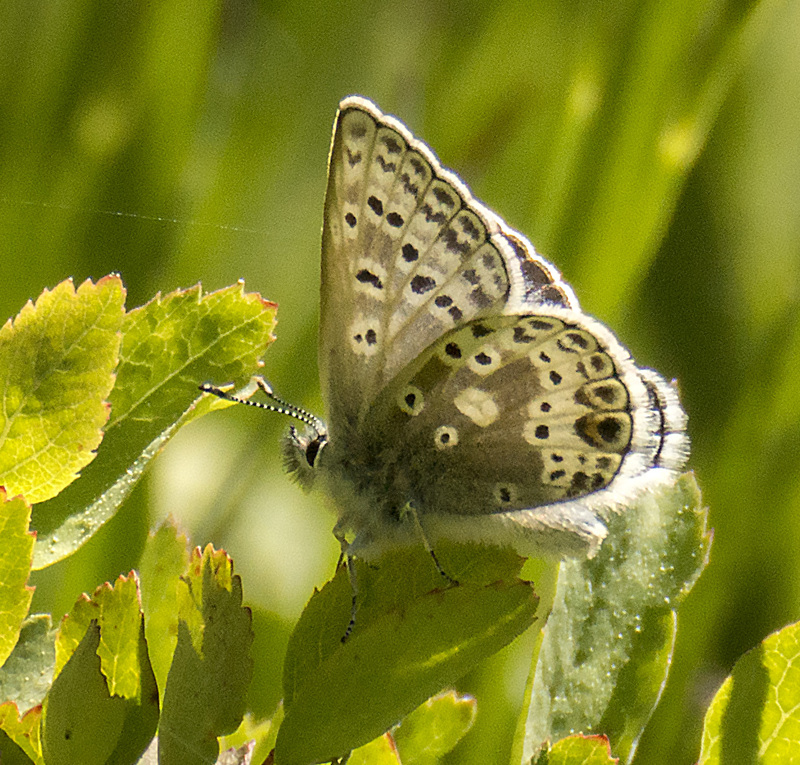 Underside of forewing with black arrowhead-shaped spots that point inward. Hindwing with discal spot not black. Wing Span: 7/8 - 1 inches (2.2 - 2.6 cm). Life History: Eggs are laid singly on leaves, bracts, or sepals of the host plant. Caterpillars or chrysalids hibernate. Caterpillar Hosts: Shooting Stars (Dodecatheon). Adult Food: Flower nectar including yellow composites and bistort. Range: Southern Oregon to central California in Klamath Range and Sierra Nevada. 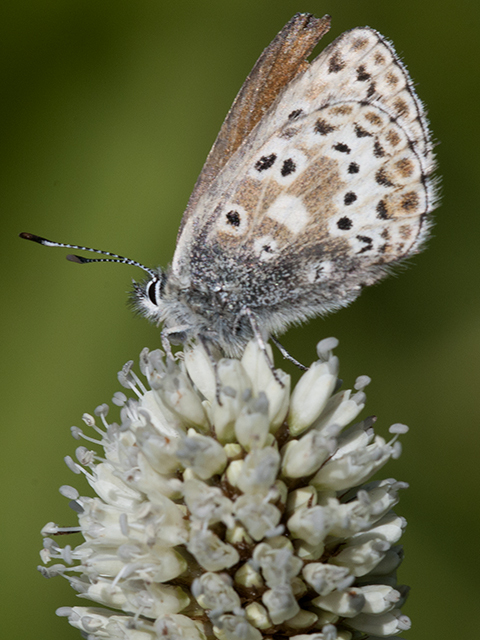 Conservation: Not usually of conservation concern but the meadow habitat of subspecies podarce in California may be negatively affected by trampling from grazing cattle and hikers. NCGR: G3,G4 - . Very rare or local throughout its range or found locally in a restricted range OR Apparently secure globally, though it might be quite rare in parts of its range, especially at the periphery. All subspecies are of conservation concern. Management Needs: Study impact of hikers and cattle grazing on habitat and populations. Comment: The Committee on Scientific Names of North American Butterflies considers podarce to be a subspecies of A. glandon.